In The Hidden Life of Trees, a forester's fascinating stories, supported by the latest scientific research, reveal the extraordinary world of forests and illustrate how trees communicate and care for each other. It’s a powerful reminder to slow down and tune into the language of nature. In this international bestseller (first published in Germany) forester Peter Wohlleben draws on groundbreaking scientific discoveries to describe how trees are like human families; tree parents live together with their children, communicate with them, support them as they grow, share nutrients with those who are sick or struggling, and even warn each other of impending dangers. With their newfound understanding of the delightfully complex life of trees, readers will never be able to look at a walk in the woods the same way again. He convincingly makes the case that the forest is a social network. And it’s been around long before humans arrived. A tree’s most important means of staying connected to other trees is a “wood wide web” of soil fungi that connects vegetation in an intimate network that allows the sharing of an enormous amount of information and goods. Scientific research aimed to understanding the astonishing abilities of this partnership between fungi and plant has only just begun. A forester's fascinating stories, supported by the latest scientific research, reveal the extraordinary world of forests and illustrate how trees communicate and care for each other. 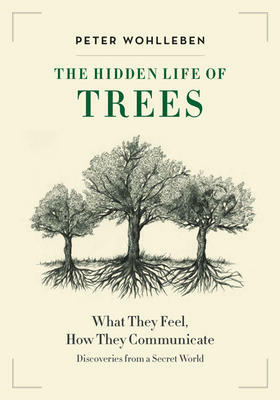 In this international bestseller, forester and author Peter Wohlleben draws on groundbreaking scientific discoveries to describe how trees are like human families; tree parents live together with their children, communicate with them, support them as they grow, share nutrients with those who are sick or struggling, and even warn each other of impending dangers. With their newfound understanding of the delightfully complex life of trees, readers will never be able to look at a walk in the woods the same way again. The Hidden Life of Trees is an amazing book. I already read it and love to share with the other people. I read from the best essay editing service about it and the detailed review you shared here is amazing.